They key to having a chance at beating Anthony Pettis used to be constant pressure. 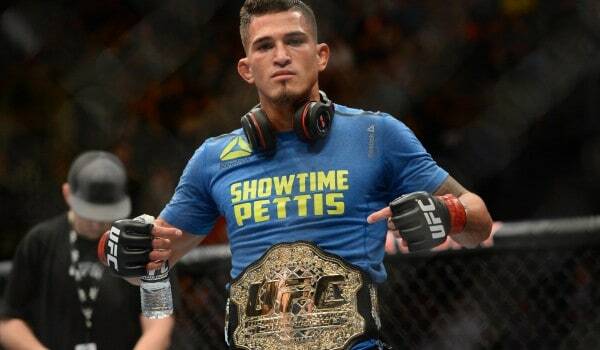 Opponents would look to keep Pettis on his heels moving backwards and get him against the cage or on his back. If that were still the case, Rafael dos Anjos would have a pretty decent shot at winning this one. However, Pettis has now become a serious submission threat off of his back, has much improved takedown defense and is one of the best counter-strikers in the game. As for dos Anjos, his aggressive style is exactly what could win his this fight. Dos Anjos, a Brazilian Jiu-Jitsu black belt, has developed into a top striker at lightweight. While he likely won’t be able to hang with Pettis on the feet for all five rounds, dos Anjos should look to be the aggressor, utilizing big strikes to back Pettis up, in attempt to halt the use of his kicks and look to set up the takedown from there, a strategy Gilbert Melendez found some early success with against Pettis. While the threat of a submission is there from Pettis, dos Anjos should’nt have as much trouble fending them off as Benson Henderson and Melendez did. The key here will be securing the takedown. With dos Anjos there are a lot of “ifs,” that’s not so with Pettis. Pettis just needs to do what he always does, set things up with his superb fundamentals and keep dos Anjos off of him by utilizing movement in order to delivery his ferocious kicks. Pettis should be able to find a knockout in the early to mid stages of this one. Joanna Jedrzejczyk has seemingly got into Carla Esparza’s head with all of her trash talk prior to their fight, which has been documented on “UFC Embedded,” and could definitely play into her advantage and bode Esparza into being overly aggressive early. This is a classic striker vs. grappler match-up. 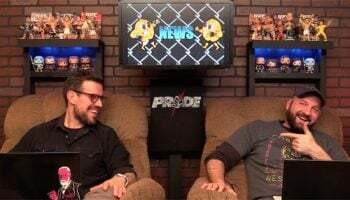 Jedrzejczyk has a Muay Thai background while Esparza comes from wrestling. Striker vs. grappler bouts are usually decided by the takedown defense of the striker. If Jedrzejczyk has any hope of winning, she will need to defend the onslaught of takedown attempts that are bound to come from Esparza. While Jedrzejczyk has solid takedown defense and ability to pop back up to her feet after being brought to the mat, I just don’t see her being able to keep this standing. Esparza will be relentless with her wrestling and should be able to take this fight to the mat and tire Jedrzejczyk out and find a submission late, in similar fashion to her most recent victory over Rose Namajunas. Johny Hendricks vs. Matt Brown should be a fun one. If anyone has the ability to eat a clean left from Johny Hendricks, it’s Matt Brown. Aside from being one of the toughest guys in MMA, Brown his also one of the most dangerous and aggressive. Brown will stand and trade with any man and has a vicious clinch to match, however, this match-up is definitely not in his favor. Johny Hendricks’ skill-set is the kryptonite to Brown’s, a dominate wrestler with improving striking and a chin to match. It’s clear what Hendricks needs to do to walk away victorious, look for the takedown off of Brown’s aggressiveness and dominate from the top. That’s just what he’ll do, but expect there to be some exciting exchanges to go along with that. This one is a true toss-up. Roy Nelson has one of the most powerful techniques in MMA with his overhand right, while Overeem is a former K-1 Grand Prix champion with the ability to take the fight to the mat. If Nelson is able to land that overhand, or connect with a solid shot, it’s likely lights out for Overeem, who’s chin has been deteriorating, losing three of his last five fights, all by way of knockout. Aside from getting caught, there’s no reason why Alistair Overeem should lose this fight. Overeem is one of the most technical strikers at heavyweight and his knees against the cage are vicious, he also has the ability to take a majority of his opponents down. Overeem should look to either stay all the way out, or get all the way in with Nelson, perhaps avoid the striking all together by using his grappling, which won him fights against Frank Mir and Stefan Struve. As long as he isn’t baited by Nelson’s jab, overhand combo, Overeem should walk away the victor. Chris Cariaso’s biggest weakness is perhaps his wrestling. In comes Olympic gold medalist in wrestling, Henry Cejudo. It’s obvious where I’m going here. Cariaso is a very good striker, who has the ability to mix things up on the feet, but I just don’t see him being able to keep this fight there for all too long. Demetrious Johnson had his way with Cariaso, taking him down at will and finishing with a submission. While I don’t see Cejudo having that easy of a time, I do see him being able to get the takedown and keep Cariaso fighting off of his back.